Long-time Canadian dealer Roy Houtby, of St. Catharines, Ont. Long-time Canadian dealer and RPSC member Roy Houtby, owner of Roy’s Stamps, was recently appointed to the American Philatelic Society (APS) Dealer Advisory Council following an announcement from APS Executive Director Scott English. 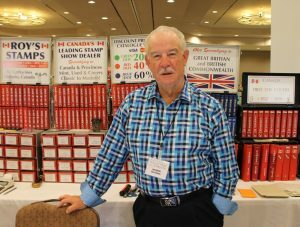 Houtby, of St. Catharines, Ont., has been in the stamp business for more than 45 years and participates in upwards of 30 shows across North America, including at least a dozen major events in the U.S., each year. Roy’s Stamps is an annual participant in both the APS StampShow, Ameristamp Expo and Canada’s National Stamp Exhibition. He’s also a past president of the Canadian Stamp Dealers’ Association; served as bourse chair for several Canadian national shows, including “Royal 2009,” “BNAPEX 2015” and this June’s “Royal 2018” in St. Catharines. He is also serving on the organizing group for “BNAPEX 2019” in Ottawa. Houtby is also the long-time bourse chair for the St. Catharines Stamp Club’s annual “Cathex” show and has organized the Best Western Stamp Show for more than four decades. He’s also chaired the Ottawa Fall Stamp Fair for the past 14 years. The RPSC’s on-line library is a collection of “Exhibits” (these are actually “research articles”) donated to The RPSC for the viewing pleasure of our web site visitors. With the explosion of the internet and the availability of philatelic related information, the next evolutionary step is to bring the commonly viewed exhibits from the stamp show’s exhibition floor and create on-line versions of the presentations. To view the entire list, click here. Welcome to the first issue of The RPSC newsletter. The newsletter will be focused on promoting The RPSC and its services and programs to members and all philatelic organizations in Canada. It will also serve to recognize the great contributions of our members to philately here in Canada and abroad. It is also being created to be an extension of The RPSC’s popular and respectable journal, The Canadian Philatelist, by providing timely updates and highlights of news and events within The RPSC and the Canadian philatelic community at large. We welcome your input, particularly with any items you would like to see as part of the regular newsletter. Of special note to anyone who is reading this newsletter in Outlook, you will view it much better if you go to the very top of this newsletter and click on the line: View email in your browser. We also invite you to suggest a name for this newsletter. Email your submissions to info@rpsc.org by June 30. The member who submitted the chosen name will receive a one-year membership extension to The RSPC. 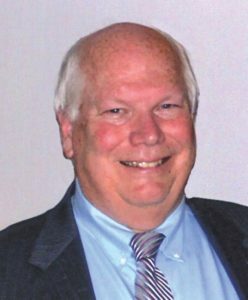 Robert Zeigler, of Indianapolis, Ind., was recently appointed as the new president of the American Philatelic Society (APS), the U.S. equivalent of The Royal Philatelic Society of Canada (RPSC). Zeigler, who was a member of the judging panel at the 2010 RPSC Convention in Windsor, Ont., was appointed president of the APS on May 23 following a vote of that society’s board of directors. He’s replacing former APS president Mick Zais, who was elected in 2016 before resigning this May after being chosen by the U.S. Senate as deputy secretary of the Department of Education . Zeigler will complete Zais’ term, which runs until August 2019. Enjoy the benefits of membership? As noted in this issue’s President’s Message, the RPSC board is committed to providing strong benefits to being a member of Canada’s longest service philatelic organization. Your membership to the RPSC provides many benefits. Continue Reading to view the benefits. 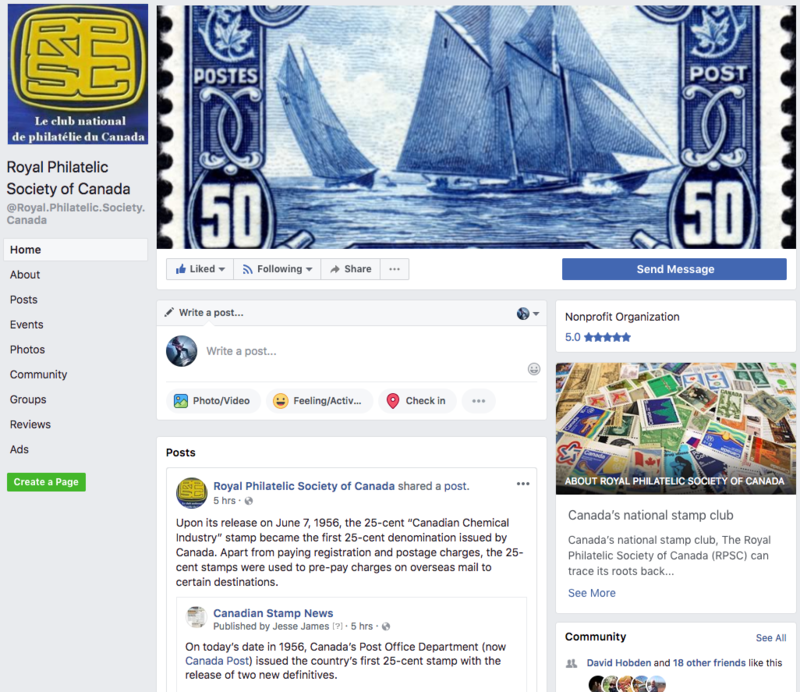 The Royal Philatelic Society of Canada (RPSC) is inviting members to “like” its Facebook page, which it launched earlier this year. The page highlights news about the society as well as the hobby at large; information, including videos and photographs, about shows in Canada and abroad; and other interesting philatelic tidbits. For more information or to visit the Facebook page, click here. Members of The Royal Philatelic Society of Canada (RPSC) are exhibiting excellence at high-level exhibitions in Canada and abroad. At the 160-frame national-level competitive exhibition held at Orapex this May, RPSC member Michael Deery won the Grand Award for his eight-frame exhibit, “WWII Postal Protocol: Mail Violations and Advisements.” The exhibit didn’t just focus on the war-time censorship of a single country but also highlighted postal protocols of countries around the world throughout the Second World War. During the Second World War, both Allied countries and Axis powers monitored civilian and military mail in an effort to protect their respective war efforts from being jeopardized. Countries censored mail, identified violations and issued warnings for postal protocol deemed a security risk by inserting or attaching a slip, memo, notice, form or label to an envelope. In many cases, a handstamp was also applied. There are only a handful of national-level accredited shows hosted in Canada each year. These include: The RPSC Convention, which will be held June 22-24 in St. Catharines, Ont. ; the Edmonton Spring National Stamp Show, which was held March 24-25 in Edmonton, Alta. 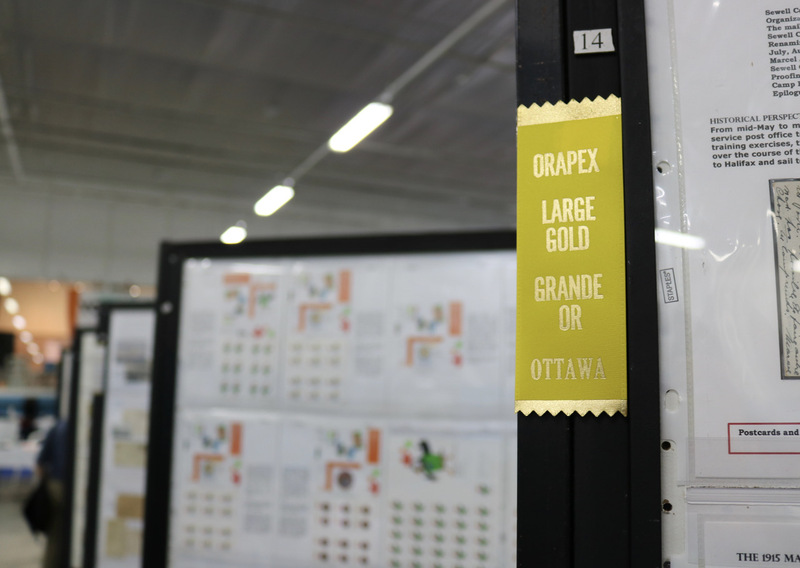 ; the aforementioned Orapex, held May 4-5 in Ottawa; Novapex, which will be held Sept. 14-16 in Dartmouth, N.S. ; and Canpex, which will be held Oct. 13-14 in London, Ont. Another RPSC member, David Bartlet, won the Reserve Grand Award at Orapex for his five-frame exhibit, “Vended Postage Automation,” which mostly featured modern material dating from 2002-16. RPSC Darcy Hickson also won the Single-Frame Grand Award for his exhibit, “Sewell Camp,” which offered study of the postmarks used at the short-lived camp when it was open in 1911. Since 1950, The Royal Philatelic Society of Canada (RPSC) has published a bimonthly journal called The Canadian Philatelist (TCP). With compelling philatelic articles, society business and news as well as events and meetings calendars, TCP is a major benefit for RPSC members, who receive new editions of the journal when its published every two months. The cover story for the May/June 2018 issue (Volume 69, No. 3), entitled “Blood in the Time of War,” focuses on blood donations during major conflicts such as the First World War and Second World War. 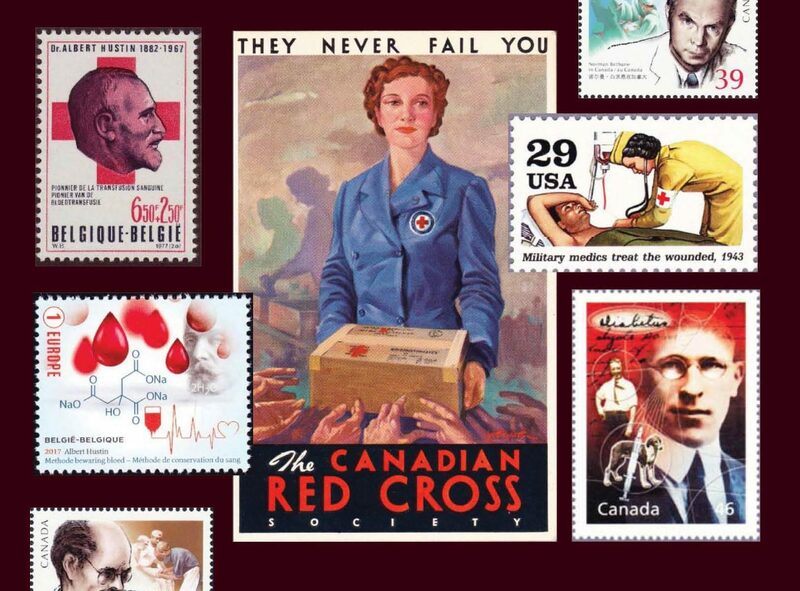 Written by RPSC member and Toronto medical doctor Jean Wang, the story is based on her award-winning exhibit, “The Story of Blood: Myth to Medicine,” which earned a Large Gold at the 67th annual National Topical Stamp Show last June. Canada’s national stamp club, The RPSC can trace its roots back to 1887, when the Canadian Philatelic Association was founded; however, it wasn’t until 1959 the society received its “Royal” designation. 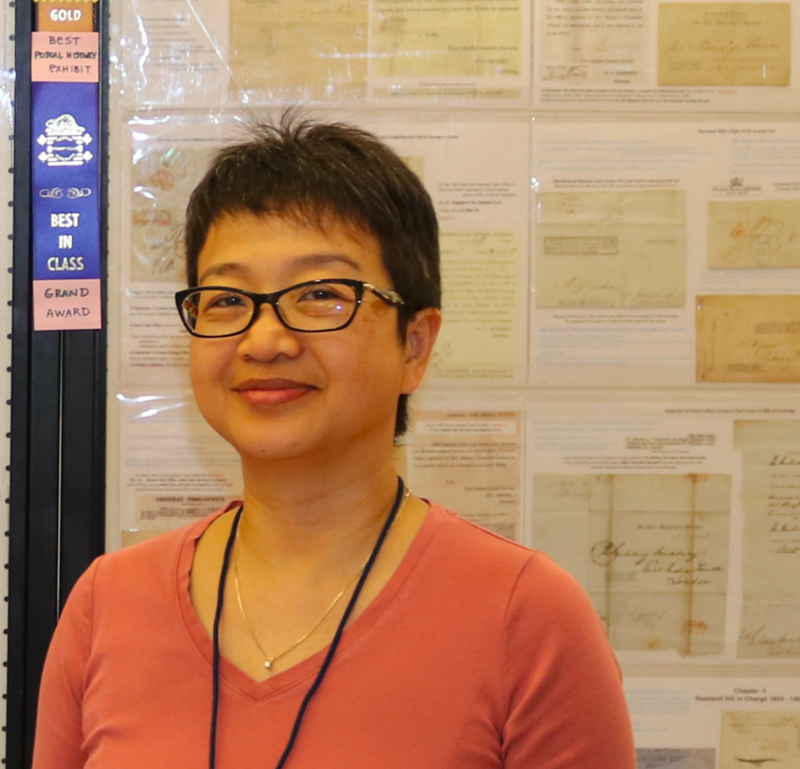 Royal Philatelic Society of Canada (RPSC) member Jean Wang was recently appointed to Canada Post’s 12-person Stamp Advisory Committee. Wang, a Toronto medical doctor and award-winning exhibitor, was one of five people recently appointed to the committee. In an interview with Canadian Stamp News (CSN), she said she was “overjoyed” after the Crown corporation announced her appointment. “I only found out about the existence of the committee a few years ago, and it’s something that you can only dream about being on. I never thought I would have the chance to do it, but I think it’s amazing and I’m really looking forward to it,” Wang said. The committee’s members are appointed by Canada Post’s board of directors to a maximum of two three-year terms. They are appointed based on recommendations from the committee chair and generally come from three walks of life—philately or stamp collecting; art or design; and history, each of which are almost always represented among the 12 members. Wang’s expertise relates to philately and philatelic exhibiting. Last June, she was awarded with a Large Gold as well as the Medical Subjects Unit Award for her multi-frame exhibit, “The Story of Blood: Myth to Medicine,” at the 67th annual National Topical Stamp Show hosted by the American Topical Association (ATA). At the 2016 RPSC Convention in Waterloo, Ont., Wang’s “Story of Blood” exhibit earned a Vermeil as well as the American Association of Philatelic Exhibitors‘ Title Page Excellence Award and the ATA’s 2nd Place Topical Award. “We’re thrilled to have her on board,” Canada Post Director of Stamp Services Jim Phillips told CSN. Wang’s five-frame exhibit, ‘The Story of Blood: Myth to Medicine,’ (title page shown above) earned a Large Gold at the 67th annual National Topical Stamp Show last June. Wang said she will try to use her new position on the committee to the benefit of philately. “Nobody else on the committee really knows what’s in the hearts and minds of philatelists; we don’t want too many issues, and we want things that are appropriate, and Canadian, and not too commercial,” she said. The Stamp Advisory Committee was established in 1969 (little more than a decade after the U.S. Citizens’ Stamp Advisory Committee was formed) and meets three times a year, and topics for the stamp program are chosen based on the committee’s criteria, which include representing a cross-section of Canadian society; being marketable; and having a broad base appeal. Wang said she has already begun pondering some suggestions to present to the committee. Aside from offering suggestions, Wang said she’s also excited to work with other committee members to develop Canada’s stamp program. This is a new Society initiative to bring timely information to our members. We welcome your contributions, including chapter and club news. 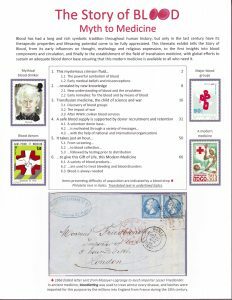 Help to make our Society newsletter must reading for every stamp collector in Canada. The 90th Royal/Royale- Thanks to the Volunteers! It is time again on June 22-24 for the Society’s 90th annual convention-Royal/Royale 2018. I and the Board of Directors are excited about the events at the event. My thanks to the St Catharines’ club and to all the volunteers who have worked tirelessly to make this a successful event. Special thanks to Rod Paige, the Society’s former Vice President, Victor Potter, Les Molnar, Jim Glen and Stuart Keeley, our Board member. Robert (Bob) Hohertz, Northfield Minnesota (APS reciprocal judge) and David Collyer, Gladesville, New South Wales (Australian Philatelic Federation reciprocal judge). My hope is that attendees will visit our Society’s table and say hello to me or others involved in the Society, including our esteemed editor, Herb Colling. At the Annual General Meeting, the Board of Directors and the Society executive will unveil its strategic plan for the Society. The Vision Statement and the Objectives of the Society were passed at a Board of Directors Meeting on April 29, 2018. My special thanks to Lloyd Field and Sam Chiu for their leadership with me on the plan and to the other board members and valued members such as Garfield Portsch and past presidents Charles Verge and George Pepall for their insightful comments. My hope is that volunteers will work with members of the Society to implement the plan to improve our Society. In the upcoming months, I will write or speak about various aspects of the Strategic Plan and look forward to discussing aspects of it with many of you. Speaking of the Board of Directors, the Society will have 13 board members from across Canada. They are all accomplished people in their own right and all have the best interests of the Society and philately at heart. The Board has had regular teleconference meetings every few weeks to discuss and implement decisions pertaining to matters of interest to the Society and its members. My thanks, on behalf of the Society to all of you, and to Robert Pinet, our Society secretary, who is retiring from our Board. To be the Canadian centre of excellence for collectors, philatelic exhibitors and philatelic judges . 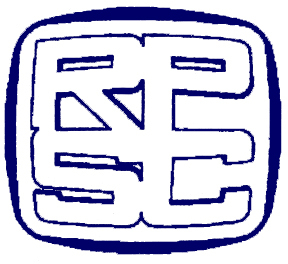 Create an awareness that the RPSC stands for The Royal Philatelic Society of Canada, that the RPSC has a long and storied history and tradition and that it is an inclusive and not exclusive organization that someone will be excited to join. Use our existing Facebook page and RPSC Website to get our messaging across on a timely and broad basis. 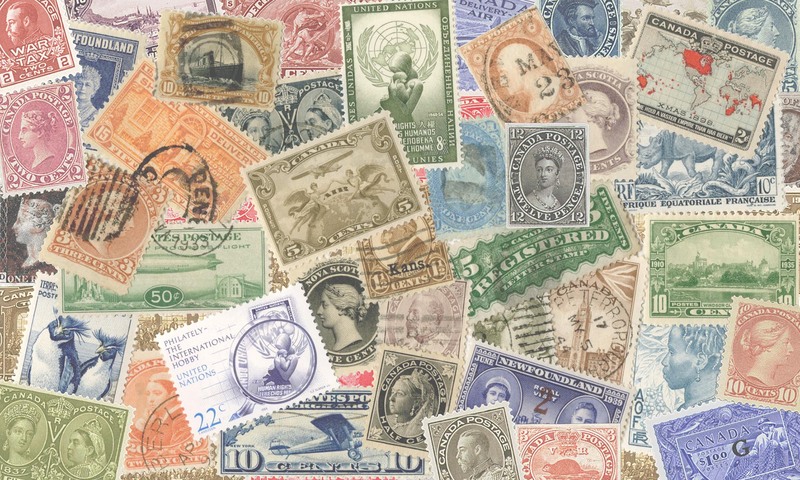 Offer members the chance to sell or buy one anothers’ stamps through a carefully managed sales circuit under contract with a reliable and conscientious individual or party. These are truly exciting times for our Society! Please help the Society in any way you can. Recruit new members! Please find a little time in your busy lives to volunteer for Society committees or at your local club or show to advance and promote the interests of our Society . See you in St Catharines!